Inspiring stunning outdoor spaces through the art and design of fabric architecture. For the past 25 years, USA SHADE and Fabric Structures™ has been the proven leader in fabric structure design and technology. Their products are designed and built with people first in mind, a simple concept that the company was founded upon. With the commitment to the highest standards of creativity, integrity, quality and service…USA SHADE and Fabric Structures is the leader, innovator and brand to trust. As a vertically integrated business, USA SHADE and Fabric Structures offers its clients the comprehensive resources that lead to successful projects and lasting partnerships. They offer products and services that competitors are simply unable to match. With in-house experts in design development to engineering, manufacturing, project management, and construction, USA SHADE and Fabric Structures is the single source for your shade and fabric structure solutions. Endless possibilities. Uncompromising quality. Lasting partnerships. 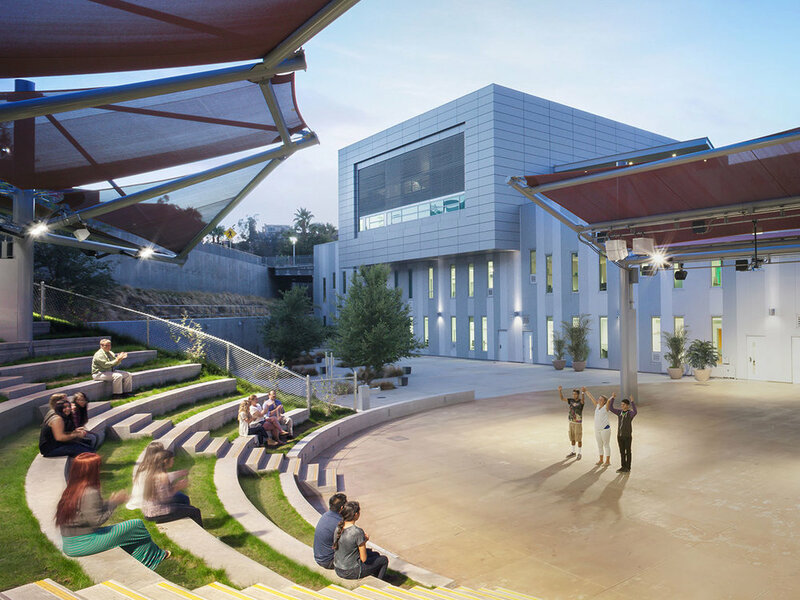 USA SHADE and Fabric Structures was the first fabric structure designer/manufacturer in California to have received Division of the State Architect (DSA) approval. 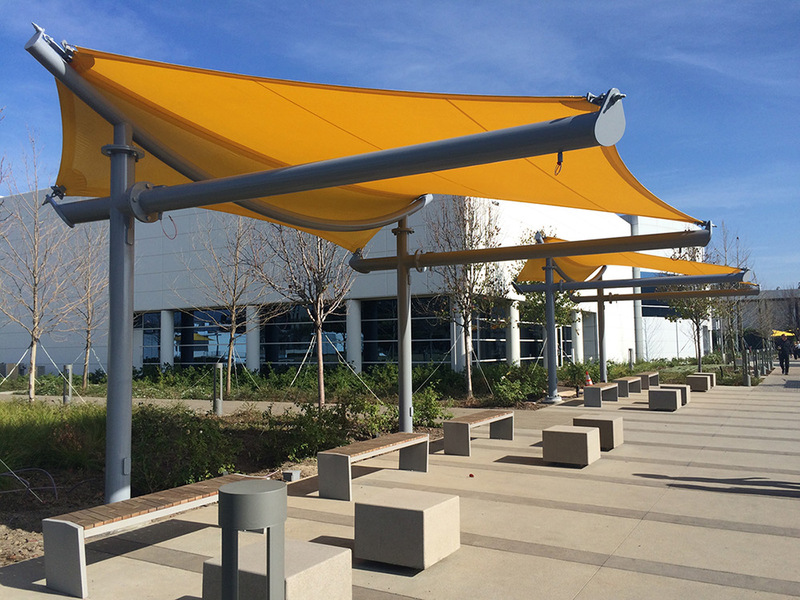 They are the leader in providing California state schools with the highest quality and largest selection of DSA pre-approved fabric shade structures. Their products provide the ultimate in shade and weather protection while enhancing the aesthetic appeal of any school or educational facility, whether it is playground shade or common facilities. As a General Services Administration (GSA) – approved vendor, USA SHADE and Fabric Structures can provide Federal Government Agencies with discounted prices on shade structures. GSA contract GS-03F-0001U is under contractor name Shade Structures, Inc.
USA SHADE and Fabric Structures has been providing fabric-based shade solutions for all branches of the United States Military since 1991. From Camp Pendleton and Twentynine Palms in California to Fort Bliss and Dyess Air Force Base in Texas to other location across America and around the world, they have covered a wide variety of projects for the military. Structures have been utilized for shade and weather protection at Training Centers, Housing Facilities, Security Entryways, Shooting Ranges, Outdoor Seating areas, Family Playgrounds, Aquatic & Recreation Centers, and much more.